Can design transform social impact? In other words, human-centred design isn’t about just making nice, pretty things for people. It’s creatively solving a problem in a way that is feasible (is it possible to create? 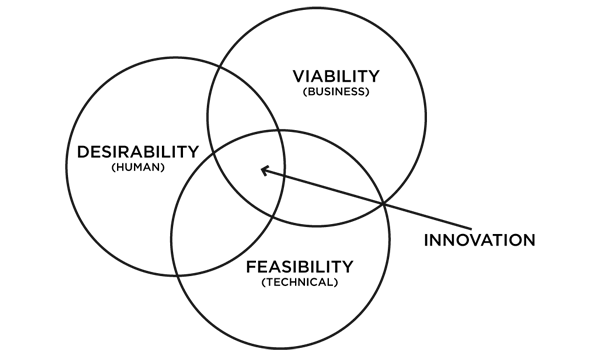 ), viable (is it financially sustainable? ), and desirable (do people actually want it?). So, is Melinda Gates right? Can human-centred design transform the way we create social change? I think it can. The clarity of this approach is simple and refreshing, but I think that the social sector (not to mention other sectors, too, but we won’t go there) fails to put it into practice as often as it should. Let’s take a look at two of the most well-known socially-conscious businesses: Warby Parker and TOMS Shoes. In terms of the buy-one-give-one model, what’s the difference between these two companies? Isn’t there philanthropic approach essentially the same? TOMS Shoes original model — one they are now trying to distance themselves from — was to give away a pair of shoes for every pair that was sold. The criticisms of this model were widespread and incisive, asserting that TOMS did nothing to address the root causes of poverty, and instead provided a temporary solution that contributed to a culture of dependency in the developing world. When Warby Parker was founded four years later, they took a different approach to social impact, one that I would argue is rooted in the principles of human-centred design. For every pair that they sell, Warby Parker doesn’t give away a pair of glasses for free to someone in need. Instead, they actually donate them to an experienced, effective non-profit partner like VisionSpring, which trains people in developing countries to administer eye exams and sell glasses to their communities at affordable prices. Instead of disrupting local markets by providing a band-aid solution, Warby Parker helps foster entrepreneurship and provide a sustainable income for those in developing countries. Human-centred design has not only helped Warby Parker differentiate itself in the crowded, competitive eyewear industry, but it has also enabled it to make a lasting, sustainable social impact, guiding the way for the next generation of post-TOMS social entrepreneurs. Asili is a social enterprise zone in the Democratic Republic of the Congo that provides a variety of affordable, vital services to local communities, like clean water, health care, and a farming co-op. When creating Asili, IDEO.org (IDEO’s non-profit arm) and the American Refugee Committee (ARC) involved a number of local Congolese people in deciding everything from the design of the social enterprise as a whole, down to the logo, and anything in between. Local people were deeply involved in the project from day one, which has played a major role in helping Asili succeed. Software may be eating the world, but when it comes to addressing wicked, complex problems like poverty or malnutrition, software plays just one role as part of a larger solution. For impact organizations, it’s tempting to want to leverage new technologies at every turn — see UNICEF’s foray into virtual reality as a recent example — and it’s hard to know what trends will stick and what won’t. Technology shouldn’t be used for its own sake — it should serve as a means to accomplish the end goal: solving the problem you set out to solve. When you take a human-centred design approach, and focus on the people whose lives you are seeking to improve, that helps you keep things in perspective. For example, IDEO.org worked with U.S. non-profit, Moneythink, on a digital app to build good financial habits among low-income Chicago teens. But the app alone is not meant to accomplish this — it’s powerful because its used to augment Moneythink’s in-person classroom learning and entrepreneurship competitions, and because its design was highly usable as it was inspired by the numerous social apps that students already used. The app is now being used by 1,315 students in 40 schools. By contrast, design is experimental, interdisciplinary, and problem-focused by nature, so design organizations in the social sector aren’t bound to the traditional approaches to philanthropy, and don’t assume they know what the solution is without talking to the people who they’re trying to help. By focusing on impact, mission-driven design organizations can bridge divides and build partnerships with progessive non-profits, NGO’s, governments, social enterprises, corporations, and any other organizations that can help them achieve a viable, feasible, and desirable solution to whatever problem they face. The principles of human-centred design are starting to take root across the social sector, and it’s for good reason — by focusing on creating solutions that are desirable, feasible, and viable, we can look past traditional approaches to philanthropy, blur the line between profit and purpose, and make a real impact on people across the world. I think that design is poised for a breakthrough throughout the social sector in 2016, and it’s time for all of us to get on board. Stories about the world of social enterprise, human-centred design, and technology.